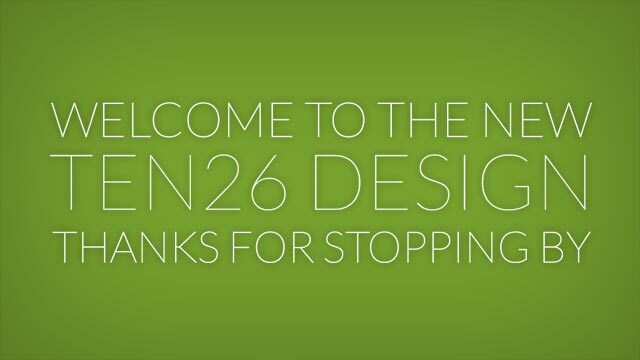 After two years of preparation and hard work, we are proud to bring you the new and improved ten26design.com. This new website allows us to showcase our latest creations as well as easily communicate with our customers, friends and followers. We’re super glad that you stopped by, and we would love to hear what you have to say. So without further adieu, enjoy the site and have a great day. The new website is FANTASTIC! Great work Ten26! Want to stay informed on everything Ten26? Sign up for our Newsletter. New to Ten26? Lucky for you we have all of our past newsletters for your reading pleasure.